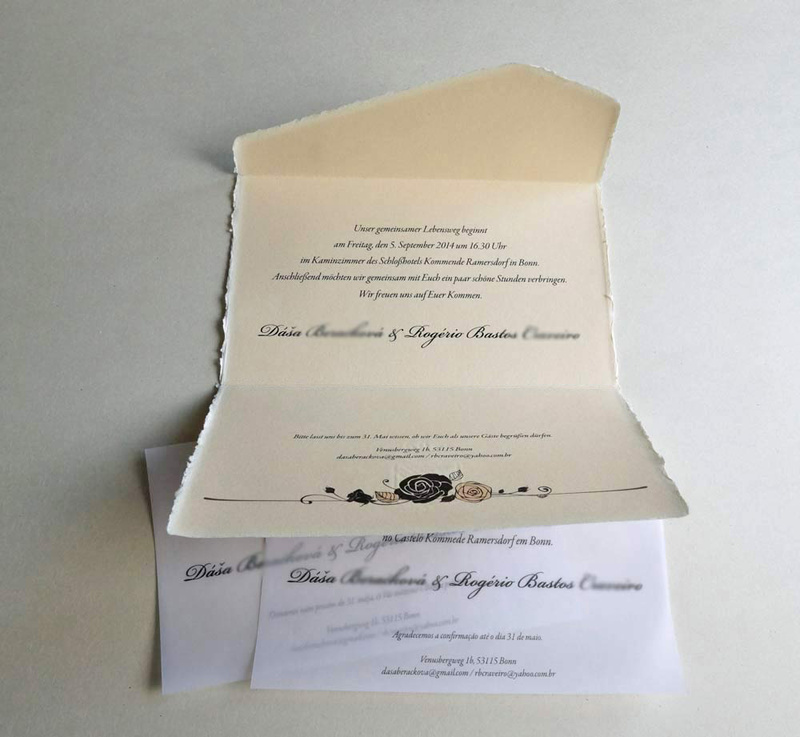 These beautiful wedding invitations were printed on Italian handmade paper manufactured by Amatruda family in the coastal city of Amalfi, Italy, owned by the family since the 16th century. 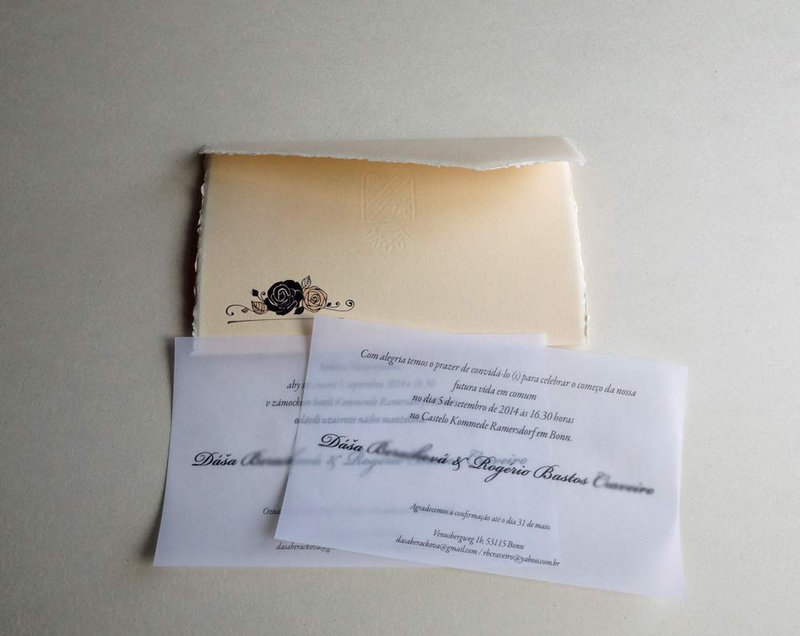 The invitations are then printed in the print shop Atelier Manufactura in Prague, Czechia, which focuses primarily on large prints for galleries. Archive-pigmented colors used for the print are water resistant and guaranteed to last up to 70 years. The wedding invitations and the print are all handmade. The paper is manufactured using cold press which gives our paper interesting texture, and along with uneven edges of the paper, makes our wedding invitations look unique. Our handmade paper wedding invitations look classic and show your guests that you want only the best for them. *If you select specific pattern, leave the sections Fonts and Colors empty. Layout, Fonts, and Colors will be determined by chosen pattern. Please provide us with the exact wording you would like on your wedding invitations, response cards & reception cards. If you have your own design, picture, and addresses of your guests, please forward all information to our e-mail: info@ateliermanufactura.com. Please use the Request Form name so we can identify you easily.Thank You!